There has been no drinking water supply for five days. 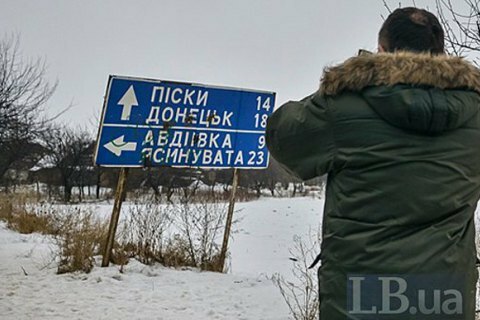 Water supply to Avdiyivka and adjacent settlements has been restored, the press service of the State Emergencies Service office in Donetsk Region has reported. On Sunday, 22 April, the Donetsk water filtering station, which is located in the so-called "grey zone", opened the gate and let water flow towards Avdiyivka to fill the system and reservoir. As of 5 a.m. on Monday, the water supply to Avdiyivka, the villages of Lastochkyne and Orlivka of Yasynuvata District, has been fully restored. As a result of a shelling by pro-Russian militants on 17 April, five workers of the Donetsk filtering station were wounded, who were traveling by bus. On 18 April, the station stopped. The supply of drinking water to Avdiyivka, partly to Donetsk and Yasynuvata, Krasnyy Partyzan, Kruta Balka an Verkhnyotoretske.